What’s better than a traveling Greek(ish) prince landing on your doorstep? Not much, I say! 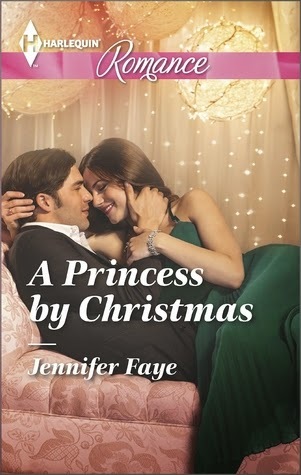 In Jennifer Faye’s novel, A Princess by Christmas, a local innkeeper gets the surprise of her life when a real, live prince shows up at her door. Alex (should I call him Prince?) arrives in New York incognito—without his security detail. His goal is to rent out the entire inn and when he arrives, he is disheartened to learn that it is full of a celebrating wedding party. Feeling embarrassed about the mix-up, the innkeeper, Reese, allows Alex to take residence in her apartment. (She knows that he is rich, but does not know that he is a prince.) Her kind manner, down to earth attitude, and can-do spirit soon has Alex falling for her. Unfortunately, a foray into town results in Alex’s exposure as the royal he is, and Reese is left to deal with the fallout. The action of the novel soon turns to Alex’s homeland—I cannot remember exactly which country is his, but it is a really small Mediterranean place. Alex’s brother, the next in line for the throne, has married after a short courtship and has tongues in the small principality wagging. So, when Reese arrives, her goal is to help Alex steal some of the gossip from the newly married prince. Along the way, she meets Catherine, who has been promised to Alex forever—as a strategic alliance between her country and Alex’s. What follows is a series of misunderstandings and hurts as Reese and Alex learn to trust each other. There were not any huge scandals or issues—just learning how to deal with being in love with a royal prince. I have to confess that I liked Safe in the Tycoon’s Arms better because I am not a huge fan of the royal imposter trope. A Princess by Christmas was an enjoyable book, though, and I enjoyed spending some stress free time thinking about islands and princes. (Don’t we all deserve that, ladies?) In any case, Jennifer Faye’s novels, while about wildly improbably events, are fun to read and a great diversion from the stresses of everyday life. The old grey donkey, Eeyore stood by himself in a thistly corner of the Forest, his front feet well apart, his head on one side, and thought about things. Sometimes he thought sadly to himself, "Why?" and sometimes he thought, "Wherefore?" and sometimes he thought, "Inasmuch as which?" and sometimes he didn't quite know what he was thinking about. Thank you for taking time out of your day to leave a comment. It's appreciated. Get Minding Spot in your Inbox! 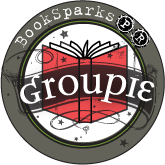 Have a book or product you'd like us to review? Want to sponsor a giveaway? Email us at wendyhines@hotmail.com. *All $$ from affiliate ads are used for giveaways.